I'm really excited to be writing the inaugural post for The Animal Communication Book Club, and to welcome you as a charter member! It's nothing short of bliss for me to be able to share my passion with other soul mates who love and cherish animals, as I do, and who are always hungry for more insight as to how the minds of animals work, and how we can interconnect with them in wonderful and even magical ways. We are all bombarded by an information explosion, and it's often hard to wade through the river of media messages to grab on to the nuggets that we most want, and need. With this in mind, I've designed The Animal Communication Book Club to be a place where you can sample a morsel or sit down for a hearty meal of good reading. I'll offer you a menu of both new and trusted shelf-worthy additions to your animal library, with opportunities to sit awhile and delve into meaty portions of books, articles, video, and DVDs or just grab a taste or tidbit of an interview or synopsis about a topic of interest, and then file it away for future reading. The centerpiece of the site will be my monthly interviews with animal authors, starting in January, 2009. Watch for details! As a Book Club "member," you're invited to participate by listening live, or asking questions, or by catching the MP3 version that will be posted online after the call. I'll also be reviewing new and older titles on a biweekly basis, and recording and archiving those critiques as posts and podcasts, so you can read or listen at your leisure, or on the fly. The audio format is particularly important to me because I want to enable blind and sight-impaired animal lovers to participate, too. 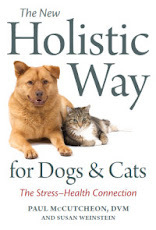 The best titles in a host of categories will be recognized with The Animal Communication Book Club's annual "Ashley Awards," named in honor of my dear golden retriever who died earlier this year, but who lives on in my heart, and whose name will henceforth be synonymous with authors who have significantly enhanced our understanding of animals and our relationships with them. Membership in The Animal Communication Book Club is free and there's no obligation to do anything, except enjoy it. If you'd like to be notified about new reviews and upcoming interviews, I'd recommend that you subscribe, either by RSS Feed or Email. 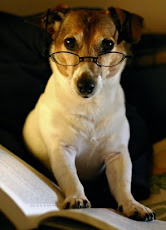 I welcome your comments and suggestions about animal authors you'd like to hear, or books you'd love to sample. Let's have some fun! As with any new venture, I'm sure the format and topics will evolve, in response to reader feedback and interests, and that's all part of what I hope will be an enjoyable journey for us to share.